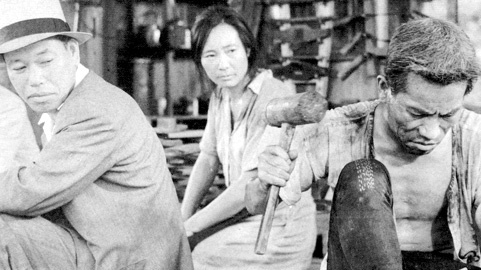 Akira Kurosawa was one of the many directors, actors, and assorted technicians to leave Toho during a series of labour strikes during the late 1940s, though he returned to the studio with Ikiru in 1952. By this time he had already made Scandal and The Idiot for Shochiku and The Quiet Duel and Rashomon for Daiei, the latter of which awakened a new global interest in Japanese cinema when it won the Venice Film Festival in 1951, marking for overseas audiences the beginning of a legendary career. During this time Kurosawa also made the gripping police thriller Stray Dog at Shintoho, the new company formed from the splinter group of those staff that left Toho. 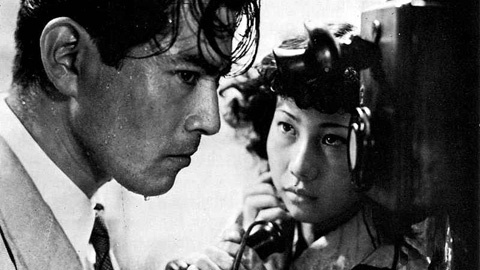 Made and set in the post-war occupation period, with many scenes shot in the still visibly recovering areas of downtown Tokyo, it captures all the turmoil, hardship and moral ambiguity of its age. On a crowded train detective Murakami (Mifune) has his Colt pistol stolen by an unseen pickpocket. Reporting his loss, his resignation is rejected and he is put on half pay until he tracks down its whereabouts, with the assistance of a superior officer, Sato (Shimura). Meanwhile, the gun has fallen into the hands of a vicious criminal who uses the weapon in a series of violent housebreakings. 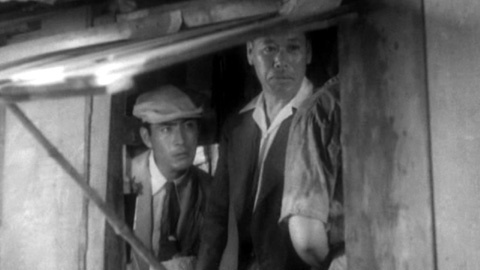 Stray Dog was based on an unpublished novel written by Kurosawa inspired by the policier fiction of Belgian writer Georges Simenon, but parallels can easily be drawn with the pessimistic, hardboiled detective works made around the same post-war period in America, a body of works that would later be grouped together under the label of film noir. 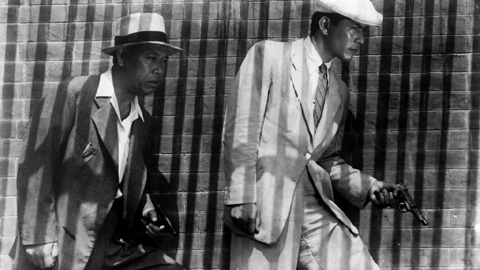 With many of the scenes shot outdoors on location, Kurosawa's work does not make use of visual techniques such as low-key lighting to the same extent as works such as Double Indemnity (1944) or Out of the Past (1947). Instead, he conjures up his edgy, oppressive atmosphere by setting his film in the stifling heat of a Tokyo summer. Bodies glisten with sweat, as the characters constantly tug at their clothing, fan themselves, or mop their brows. 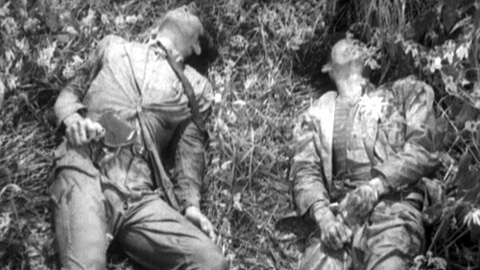 Though Kurosawa would later talk disparagingly of his film ("all that technique and not one real thought in it") - and indeed, there are sequences such as a wordless 8-minute montage of Murakami stalking around downtown in search of his gun that are allowed to stretch on longer than would perhaps be most effective - the film does paint a particularly vivid portrait of its era. It is at its most effective in the shared moments between Sato and the younger detective, where they ponder the nature of good and evil, and law and order within a society reigned by poverty and hunger. By the second half, though, the drama has most certainly clicked into full gear, with the sequences leading up to Murakami's inevitable meeting with his murderous alter ego kept particularly taut. Kurosawa's film was remade with Tetsuya Watari in the lead by Azuma Morisaki for Shochiku in 1973, and the basic premise was reworked to fit the post-Aum landscape of Shinji Aoyama's An Obsession in 1997. In 2003 Hong Kong director Johnny To, a self-confessed Kurosawa fan, delivered his own homage with PTU.